This plat silv met SUV has an automatic transmission and is powered by a 235HP 2.0L 4 Cylinder Engine. Our Santa Fe's trim level is 2.0T Preferred w/Sunroof AWD. 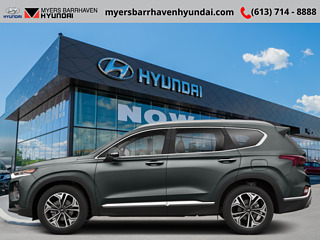 This Santa Fe Preferred has a sunroof and all the driver assistance and safety features you could need with active blind spot and rear cross traffic assistance, easy exit seats, parking distance assist, BlueLink remote activation, dual zone automatic climate control, proximity key entry. Other features include forward collision mitigation with pedestrian detection, adaptive cruise control with stop and go, lane keep assist, driver attention assistance, automatic high beams, a 7 inch touchscreen, Android Auto, Apple CarPlay, heated seats and steering wheel, Bluetooth, automatic headlamps, LED accent lighting, drive mode select, aluminum wheels, and fog lights. This vehicle has been upgraded with the following features: Sunroof, Heated Seats, Heated Steering Wheel, Android Auto, Apple Carplay, Active Blind Spot Assist, Bluelink. This is a demonstrator vehicle driven by a member of our staff, so we can offer a great deal on it. 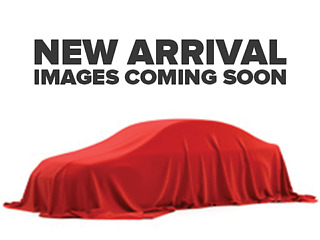 Buy this vehicle now for the lowest weekly payment of $127.50 with $0 down for 96 months @ 4.03% APR O.A.C. ( Plus applicable taxes - & fees ). Incentives expire 2019-04-30. See dealer for details.